When you are looking for a wedding car you need to think about who is going to travel in it, how far is it going to go, how many cars and what style of cars you would like! How long do you want the car for, how many journeys are you going to do in the wedding car? These may all seem like very obvious things to work out but sometimes its nice to get confirmation of what you need to think about when looking for a wedding car option. At Manns we have all varieties of cars, modern, large small traditional and multiples of all the mentioned vehicles. In the Modern range there is a choice of Rolls Royce’s Mercedes, Bentley’s and Jaguars, not forgetting the large custom fit out Hummers which are ideal for a wedding party to travel as one. Traditional vehicles include a range of beautifully kept Beaufort Tourers, Manns have a range of tourers with different colour options so we are able to find one that will match your wedding colour scheme, or more importantly your wedding dress! If you have had no luck finding multiple cars for your wedding from other suppliers then don’t give up yet, give us a call for your wedding car requirements. Manns own all of there own cars and unlike other companies locally we don’t lease our cars from other suppliers. There fore if there is a problem on the day of your wedding we are in a situation to be able to supply a reserve car. This makes us one of the most reliable and recommended companies in the midlands. 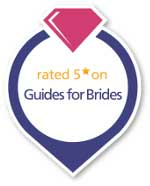 Manns are able to supply wedding cars throughout the midlands but also nationally. 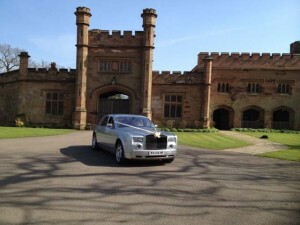 We offer our national service as we are one of only a handful of companies in the UK that are able to supply multiple Rolls Royce Ghosts or Rolls Royce Phantoms for your wedding day car hire. Pick up the phone today and call Manns for your wedding car quote, get the ball rolling and start make the decisions you need to get the wedding of your dreams to become reality.